Pizza may be my favorite food in the whole wide world. It's also the great equalizer when one's considering what to feed a mixed crowd of vegetarians and non-vegetarians. It's rare that anyone is ever disappointed in a pizza no matter what's on top, so serving it to a crowd is usually a no-brainer. I like to par-cook my homemade pizza crust. It allows me less time in the kitchen when friends and family are over, and it assures a good product. All you do is throw the dough, slide it undressed onto the stone, and cook it for just a few minutes. When it's time to eat, top your par-cooked crusts with sauce and cheese and slide 'em into the oven to crisp up. 1. Pour beer into a microwave-safe glass and heat for 1 minute. 2. Bloom the yeast in a few tablespoons of the warm beer. 3. Place flour, salt, and honey into a stand mixer, turn it on low, and add the bloomed yeast. 5. Mix for 5 minutes 'til dough looks smooth. 6. Roll dough into a nine-inch log; cut the log into three equal three-inch pieces. 8. Set containers out on the countertop. Leave the dough alone for 8 hours. the air like a pro—your call. 12. Make sure your have enough flour on the peel so that the pizza can slide around and into the oven. any other topping that you like at this point. 14. Using the pizza peel, slide the raw pizza onto the hot stone and let it cook for about 7 minutes. 15. Remove the pizza once the top starts bubbling and it begins to brown around the edges. 16. The best part: cut and serve. * For a faster crust, use "rapid rise" yeast and cut the proofing time down to one hour. We're trying to get back to making more salads with dinner around here, and it's got to be easy to do if I'm going to make one at the last minute in addition to the main dish. This past weekend, I put together a simple salad of arugula, strawberries, and toasted almonds and shook up this basic vinaigrette in a jar to go with it. It was the perfect salad to complement grilled pizza with lots of smoked provolone, sun-dried tomatoes, mushrooms, and the like. I think it's definitely is worth taking an extra couple of minutes to make your own dressing; here's what's in our go-to balsamic vinaigrette. 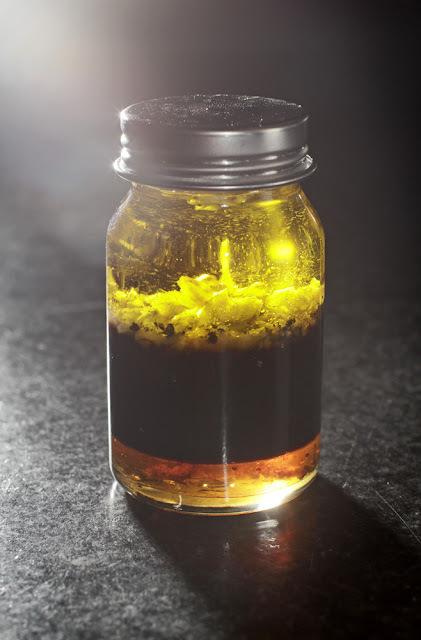 Pour all ingredients into a jar and shake or whisk them together in a small bowl. Drizzle vinaigrette over salad right before serving. P.S. You can learn more than you ever wanted to know about me at the I Love Memphis blog if you are so inclined. Preheat oven to 350 degrees. Put everything except the butter in the food processor and pulse until there are no big chunks of bread left. Heat a 10-12 inch frying pan over medium-high heat. Place butter into the hot pan; allow it to melt completely and coat the pan. Pour egg and bread mixture into the pan. 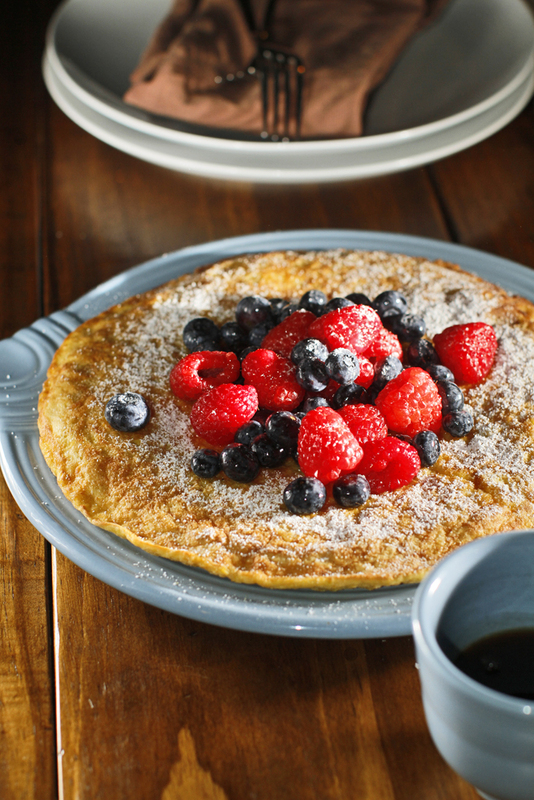 The hot pan will help the pancake to start cooking and should prevent it from sticking. Place the pan into the oven for 10 minutes or until the center is set. To serve, cut pancake into wedges and top with macerated fruit, butter, powdered sugar, and maple syrup. *For the kids, make a bunch of silver dollar French toast pancakes by pouring the batter into silicone muffin tins instead. Our raised bed garden's still going strong, so we made some nachos from the tomatoes, mint, okra, and peppers that we grew. I thought, why not try this barroom classic with a little twist...Indian flavors! Crazy, sure, but good. Think of it like this: a simple veg curry on a tiny papadum with a fragrant, creamy sauce. You just load up papadum chips in a single layer onto a plate and microwave for one minute to get these going. This would make a great unexpected appetizer or a casual main course. Try subbing the vegetables you have available from your farmer's market or garden for a unique take on this unusual dish. Finely chop the first four ingredients in a food processor. Melt butter in a large frying pan over medium heat and add the coriander, cumin, and curry. Once the spices become fragrant, add the chopped shallot, garlic, jalapeño, and ginger mixture. cook for two minutes. Add the coconut milk and stir. Set sauce aside. In the same pan over medium high heat sauté the potatoes in the canola oil until golden and tender. This should take about 4 minutes. Add the okra, tomatoes, and peas and heat through. Add the sauce and remove from heat. 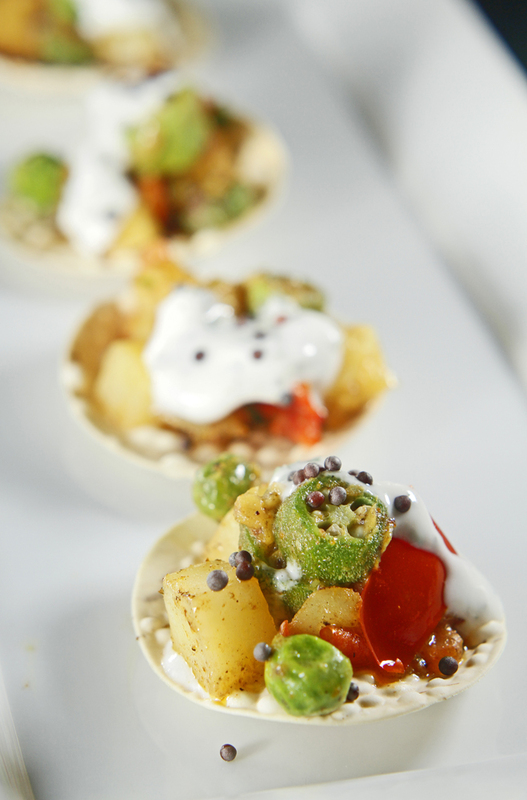 Arrange papadums on a platter and top each with about a teaspoon of the vegetable curry. Garnish with mint raita and a pinch of black mustard seed. Blend all ingredients in a food processor until mint is finely chopped. Recently, I got ahold of Sandra Gutierrez's The New Southern-Latino Table, just out this month; immediately after paging through it, I knew I would have to start working on making her amazing desserts and then work my way through the rest of the sections, too. When I make a dish from a new cookbook and it turns out well, I know the book's a keeper. After making the Chile-Chocolate Brownies one Friday night and then the Squash and Chile Cake with Cayenne and Ancho Chile Icing and New World Chocolate Cake for a family's get-together last Sunday night, I decided I needed to connect with Sandra in order to ask a few burning questions. She was so kind to allow me to share a couple of her great recipes with you. 1. We grew up in Mississippi and Tennessee, and we love Southern food. We wondered what your favorite dish from the South might be these days and/or the one you first really liked early on? Early on I quickly fell in love with pimiento cheese. I mean, what's not to like? The mixture of creamy mayonnaise with sharp cheddar cheese, speckled with blushing pimientos...it was love at first bite! It's hard to pick a favorite Southern dish--there are so many favorites, including fried chicken, deviled eggs and biscuits--but if I had to pick just one, I'd probably pick grits. Although I had never heard of grits before I arrived in the South as a young bride, I quickly became enamored of its nutty flavor, which immediately reminded me of masa for tamales (after all, both are made of nixtamalized corn). Give them to me mixed with chiles or served simply with a pat of butter; make me a cheesy-grits casserole or give them to me shaped into cakes! I'm there! I'm happy! 2. What are some of your go-to ingredients or spices, the kinds of things you think others should be sure to try out in their cooking? 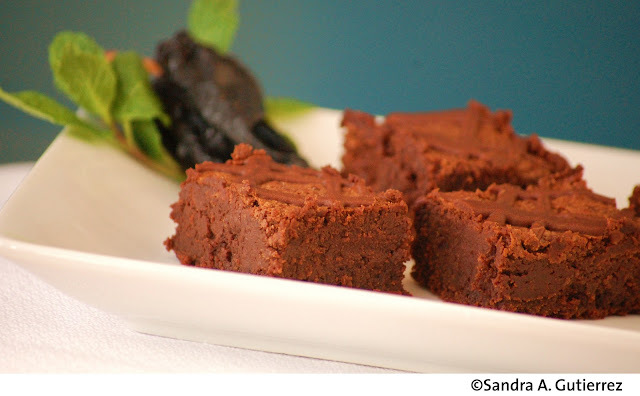 In order to cook the New Southern-Latino way, I suggest you revamp your pantry a little bit and incorporate all sorts of dried chile powders, which I use in everything from sauces to desserts, such as my Chile-Chocolate Brownies. Try these powders the next time you make a pot of vegetarian chili and you'll understand why I love them so much; a little ancho chile powder will add hints of chocolate, chipotle chile powder will add both smokiness and a spicy kick, and a sprinkle of aji amarillo powder will take it to new levels. Mexican cinnamon is another one of my favorite spicest. Called "canela" this is cinnamon from Ceylon (not the Cassia variety mostly used here in the U.S.) and it's very brittle, which makes it ideal to grind for use in cakes and other dishes. I even add canela to my stews and gravies. Annatto or "achiote" is also great to have around. You can find this spice and natural food coloring in many stores in the South. You've probably had it all your life and didn't even know it because it's what gives its orange hue to cheddar cheese. In Latin America, annatto is used to add color and flavor to lots of dishes from rice to pastries. Tamarind extract is sour; it's also the perfect addition to barbecue sauces and salad dressings.These are all easy ingredients to find in the South nowadays and some that are well worth experimenting with in your own kitchen. 3. Do you have a favorite Southern-Latino dish that just happens to also be vegetarian? Actually, I have many vegetarian dishes in my book. That is due to the fact that at home we eat at least two vegetarian meals every week. Also, Latin Americans have a tremendous array of vegetarian dishes. I have delicious salads in this book, as well as soups and amazing side dishes such as my Swiss Chard Frittata. One of my favorites is my Pimiento and Cheese Chilaquiles, which taste like an elegant lasagna. In this recipe I bathe fried tortillas with a coral-hued sauce and layer them with cheese; it's baked until bubbly, and warm, and utterly delicious! This is also one of my twists on pimiento cheese. I love to serve those with my Collard Greens, Oranges, and Pepita Salad with Buttermilk Dressing, which features raw collard greens. If you haven't tried raw collards before, you're in for a nice surprise. I also offer delicious vegetarian salsas and the best plantains north of the border! My Braised Lentils are scrumptious. I love to serve them over a bed of brown rice and then top them with my Chiltepin Gremolata (a citrusy, chile salsa that adds zing and contrasting textures). Of course, I also feature many delicious vegetarian desserts including a sweet soup made with corn and served with cinnamon-sugar coated hushpuppies, that's to die for! 4. I like that the dessert recipes you present are so creative and sometimes even a little spicy. Do you have a theory about making desserts stand out or a reason why yours are a little different? I like to say that you're only as good as your last dish. That's where dessert comes in because that's what our guests will remember most after they leave. Therefore, I like to give my desserts subtle but definite twists. I had lots of fun creating new versions that both please and surprise the palate. The additon of chile and spices in some desserts is one twist; it's not as far-fetched as you may think because that is done throughout Latin America. I also try to incorporate a balance of textures and temperatures. For example, I serve crispy hot Sweet Potato Churros with a creamy, decadent chocolate sauce. I add a bit of crunch to the New World Chocolate Cake with the addition of ground almonds. And I offer an easy Buttermilk Ice Cream that is perfect to serve with a warm slice of pie or with my Mango, Peach, and Tequila Cobbler. 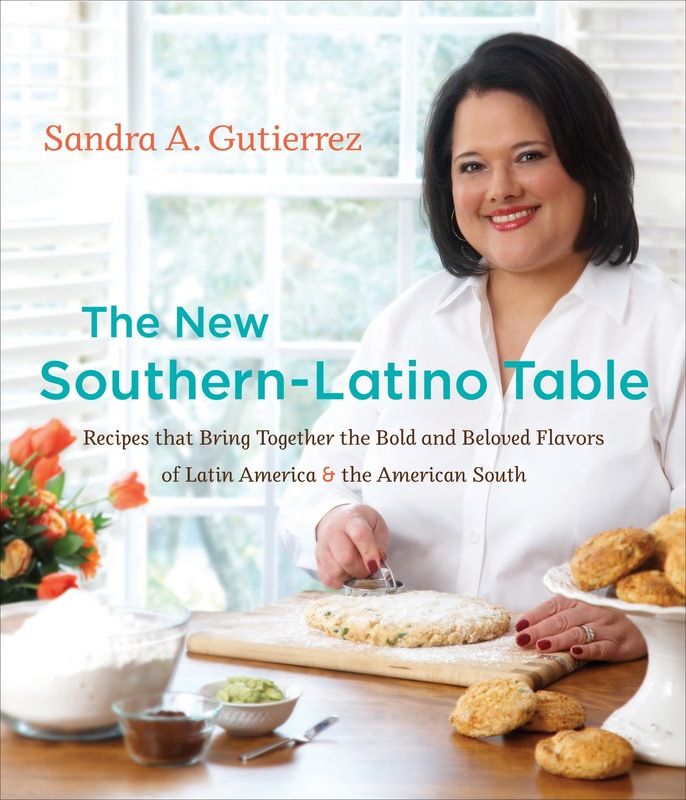 Finally, I use ingredients that you wouldn't normally think to incorporate in desserts, such as the vidalia onions I use to make Empanadas de Viento, which are sugary fried pies. Another example would be my Sweet Tomato Cobbler, where tomatoes are treated in the same manner as cherries: first preserved with sugar and then draped with flaky pastry. I think that's a must-try dessert in this book. I guess my desserts are different because I dare to push the envelope just a little bit. But I wouldn't call them "extreme" desserts. They simply tease the palate, subtly. I love to surprise my friends and family with dishes like these, and I know I've succeeded when they ask for the recipe! 5. We especially love your Squash and Chile Cake with Cayenne and Ancho Chile Icing! How were you inspired to make this particular dessert? Squash is another one of those ingredients that Latinos use in both savory and sweet dishes. I created this recipe years ago, for a cooking class in which I taught new ways to use dried chiles. Back then, I wanted a cake that yielded deep, comforting flavors but that wouldn't intimidate beginner bakers or take a very long time to prepare. And I wanted to create a dessert that would be ideal to serve during the cooler months of the year. Since I love making soups with butternut squash and chiles, I decided to translate this combination into a cake. It was a complete experiment and I was so excited to see that it worked so well. I was also pleasantly surprised that it became one of the most requested recipes by my students. I decided to include it in this book because it's one of my favorite cakes and also because it partners very well with hot drinks, such as spiced-teas, coffee, or hot cocoa. In fact, it's so easy to make, that I may very well go bake one right now. All this talk about food has made me very, very hungry! Preheat the oven to 325°F. Butter a 9x9x2-inch baking pan. Place the butter and chocolate in the top of a double boiler and heat over low heat, stirring occasionally, until they have melted and are well combined. Lift the bowl carefully from the pan so no water droplets come into contact with the chocolate mixture; let cool for 5 minutes and transfer to a large bowl. Stir in the sugar; add the eggs one at a time, beating well after each addition; stir in the vanilla. In a medium bowl, whisk together the flour, ancho chile powder, and salt; gradually add the dry ingredients to the chocolate mixture, beating well until fully combined. Add the pecans. Pour the batter into the prepared pan and bake for 30-35 minutes, or until the center is set and the brownies begin to pull back from the sides of the pan. Cool brownies for 1 hour in the pan. To make the glaze: in a medium bowl, combine the confectioners' sugar, cocoa powder, butter, liqueur, vanilla, and chile powder; blend until smooth. Place the glaze in a pastry bag (or zip-top bag with a snipped corner), and drizzle back and forth over the brownies. Cut them into 20 bars. Preheat the oven to 375°F. In a medium bowl, toss together the pumpkin seeds, lemon zest, lemon juice, salt, cumin, pepper, coriander, chile powder, cayenne, garlic powder, and sugar. Spread the mixture on a baking sheet. Bake for 5 minutes; remove the baking sheet and shake to redistribute the seeds. Summer is slipping away. I sure can feel it this week, but thankfully, the veggies from my father-in-law's garden still continue to roll in by the bucketful. There's no room left in the freezer because it's jam-packed with shelled peas, roasted tomatoes, and sliced okra. I'm doing all I can to preserve the season. So, I decided to pickle a mess of okra that had just arrived. The process of pickling is simple, and even if you don't properly can it, which is a huge production, pickled vegetables will still last up to 2-3 weeks in the fridge. Use this pickling liquid and spice mixture on anything from cucumbers to green tomatoes. The best part of pickling okra in particular is that is reduces its inherent sliminess. I brought these little beauties to Rocco's birthday party this weekend and they were a hit...even with the okra skeptics. Bring the first eight ingredients to a boil and then reduce to a simmer for five minutes. Pour hot pickling liquid over the okra and allow everything to cool. 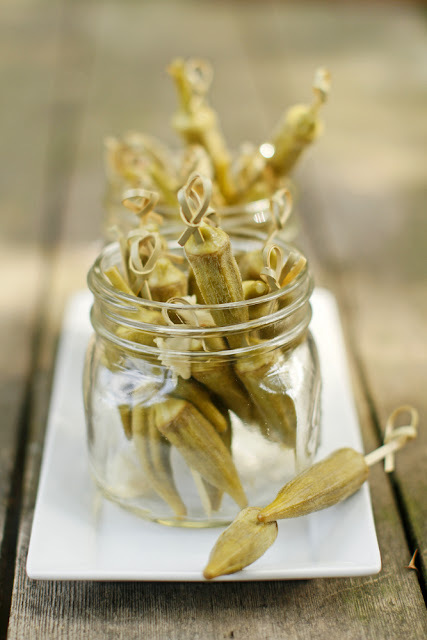 Place picked okra in the fridge for two days to allow the flavors to meld. Use okra within 2-3 weeks. To serve, rinse okra in a colander. Place two pickles on a bamboo pick. Stand picks up in a wide-mouth mason jar. In my mind, it's just the thing to bring to a three-year-old's birthday party. I have been wanting to give mythical green smoothies a shot for a while now. The question is, could they possibly be any good? I wondered if I would really taste the spinach or the kale in these, but they're barely detectable since only a natural sweetness comes through. It didn't even beg for a shot of honey or agave. Blend until all ingredients are fully combined. I love spicy food, but there comes a point where there are just too many chili peppers to use up before they shrivel. At several points over the summer, we found ourselves with handfuls of red, green, hot, mild, cherry, thai, jalapeño, habanero, and, well, unidentified peppers floating around the kitchen. I finally figured out something to do with them to make them last a few weeks rather than a few days. All I do is pulse them in a food processor with a bit of salt, sugar, garlic, and vinegar to make a sauce that's very similar to Sambal. 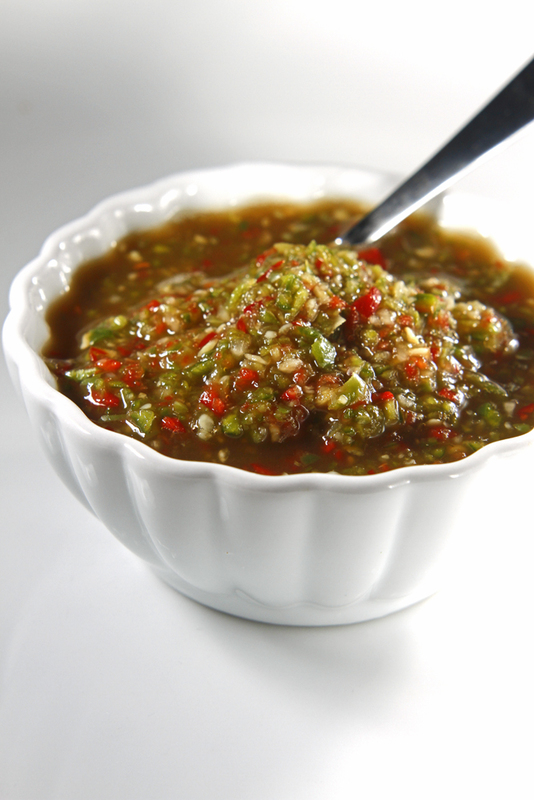 It can be used in place of sambal or sriracha in any recipe. Be warned! 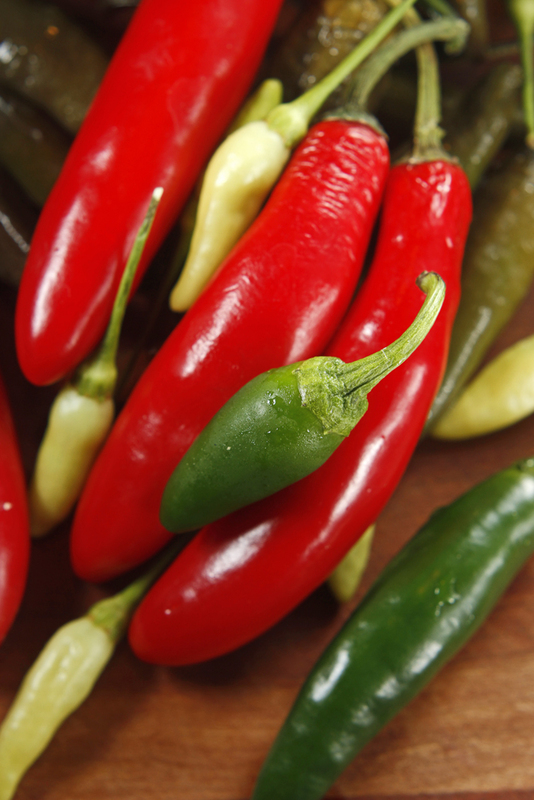 Depending on the type of peppers you choose to use, your sauce could be mild as a mouse or hell-fire hot. Please test it before you dump a whole bunch into your grits. Pulse all ingredients in a food processor until they're very finely chopped. Store in an airtight container in the fridge for up to two weeks. It's starting to feel a little like fall around here. The nights are cooler. The okra is starting to slow down, the tomatoes are dwindling, and I have visions of brussels sprouts dancing in my head. This is my favorite way to prepare those tiny, cabbage-y-looking things hands-down. It does take a little time to pull the leaves apart, but it's worth it. 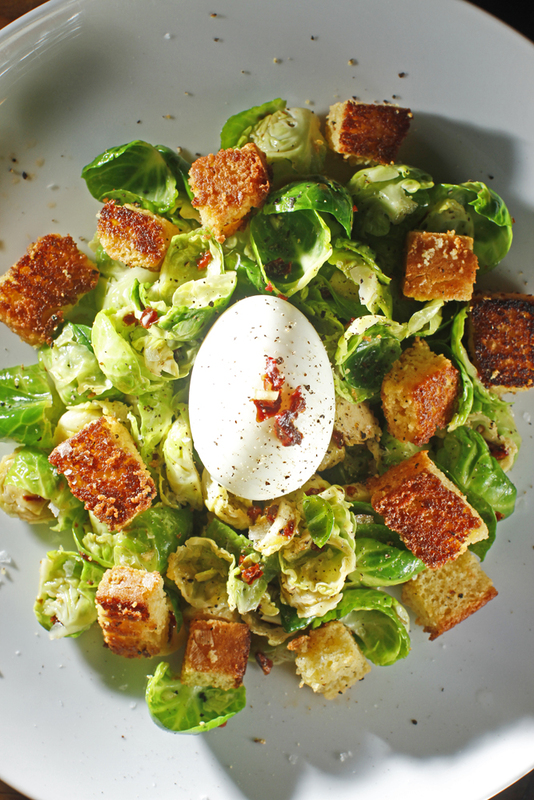 The smoky dressing and the croutons make this dish a true Southern treat. 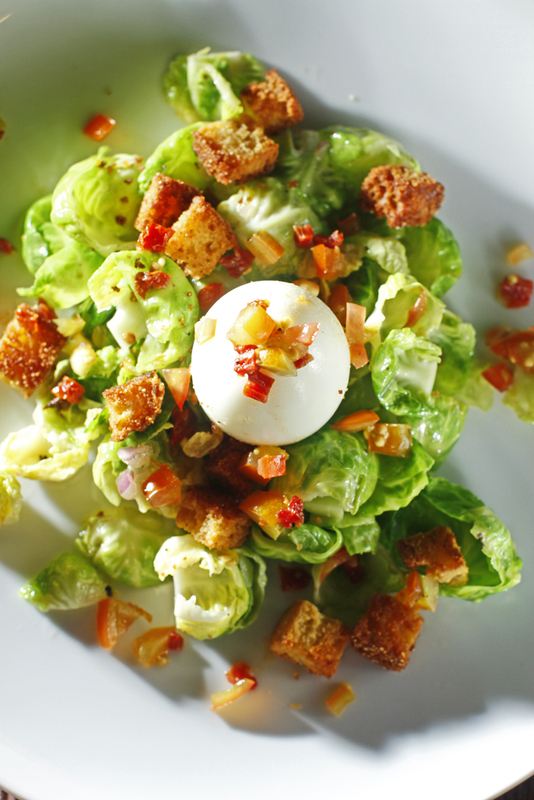 We like it just how it is for a first course, or we just add a soft-boiled egg to make it a meal. This one is definitely going in the cookbook. Y'all, no kidding, we can finally announce that we are working on a Chubby Vegetarian cookbook for publisher Thomas-Nelson. It's set to be completed in 2012. So excited to be able to share this with all of you today! Start by tearing apart the Brussels sprouts. Cut off the stem-end and pull the leaves apart. This takes some time, but it's worth it. When you get to the core, just split it in half and throw it in with the leaves. Blanch the leaves in boiling water until they turn bright green. This will take about 10-15 seconds. Run the leaves under cold water to stop the cooking. Dry leaves in a salad spinner or using a clean dish towel. Toss leaves with the dressing and transfer to a plate. Top the salad with warm cornbread croutons. Preheat the oven to 350 degrees. In a large pan over medium heat, heat oil until it begins to shimmer. Add the cubed corn bread and cook for 3-4 minutes. Carefully turn the croutons; know that they tend to be a bit tender at this stage. Place the pan into the preheated oven for 15 minutes to get the croutons crunchy. I trained hard to compete in the Memphis in May Triathlon this year, my third Olympic-length tri in three years. In fact, I ran over 360 miles since January to prepare for this particular race. So what did I do when the big day arrived? I happily decided to ditch the race and spend my whole day eating. 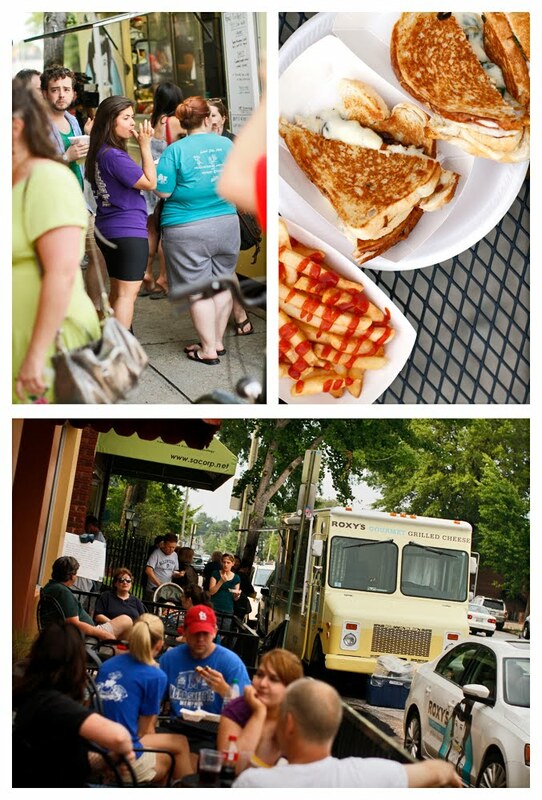 It sounds crazy, but four food trucks rolled into Memphis this week, and on Sunday, they featured all-vegetarian menus. Swimming, biking, and running paled in comparison to this! I just had to go and check out what was going on with The Great Food Truck Race. Luckily for me, Chef Tyler Florence, host of TGFTR, asked me to try them all and award immunity to the team that I felt provided the best overall experience. 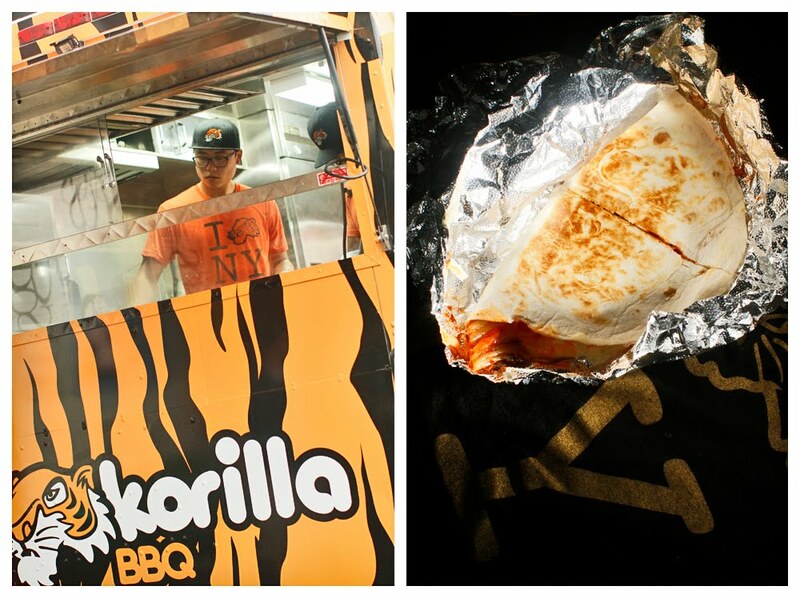 At the Korilla truck, I was excited to try the food because if there's one thing I love, it's kimchi. (I once embarrassed myself at dinner by espousing my deep love of all things cabbage to the blank stares of my dinning companions. Suffice it to say, its spicy, fermented charm is way, way up my alley.) I had some idea of what to expect, and here, they delivered on the promise of some mighty fine kimchi. I was told by one of the Korilla truck guys that the kimchi they make is from his grandmother's recipe. I love that: taking a sacred family recipe and using it in the modern context of a restaurant on wheels. I had one fleeting concern when he, knowing that I consider myself a vegetarian, asked if I eat fish; sometimes bonito flakes, shrimp, or fish sauce are used in the making of kimchi. It's a legitimate question, I decided, and it turns out that their version was completely vegetarian that day. I ordered the Korilla Tacos and the Kimchi Quesadillas. I also ordered the K-Pop, a mixture of ginger and soda. That was everything on the menu. I was told my total was 21 bucks, and that I was getting a free Korilla T-shirt. I sat down with my food and did some quick math, my "free" T-shirt cost me 2 bucks. No big deal. I had skipped the triathlon but had still managed to get 6.5 miles in that morning, and without a proper breakfast, I was super-hungry. The Korilla tacos were good. They contained Korilla's excellent kimchi, cheese, and crumbled tofu on warm corn tortillas. The kimchi quesadillas had the same ingredients, minus the tofu, on a grilled flour tortilla. I really would have liked to see more creativity. I wanted a brighter stage for the kimchi, but that wasn't happening. I think that Korilla's vegetarian menu would make a great snack, but I'm not sure it was enough to make a meal. The name The Lime Truck doesn't really give anything away, and the only thing we knew about them was that they do California fusion cuisine. We approached the truck, and besides a few people milling about in front, it almost looked closed. Strong wind had forced them to shut the sides of the truck and pull the menu board inside. I finally got a look at the menu, and I was ecstatic. These guys were offering 8 items plus strawberry limeade. I needed a little help deciding what to eat -- or I was misguidedly going to order it all. Once I introduced myself, the trio appeared one by one to shake my hand and talk about what they do. The personable and chatty bunch told me that they change the menu every day depending on what's fresh and available, and that the Red Curry Fajita Quesadilla contained local shiitake mushrooms. I love mushrooms, so I put a magic check by that one. These guys were psyched about the food they were serving, and that made me interested to try it. I was told not to walk away without ordering the Yellow Vegetable Curry Over Rice, so I ordered that, too. I also added the Savory Corn Cake with BBQ Slaw and the Balsamic Macerated Strawberries to my order. We talked about Memphis and Southern food. They told me that cooking vegetarian was no big deal for them since they always offer a few veggie options on their menu. I realized that I was holding up the line and that I'd best wrap things up. It was time for the food to do the talking for them. At the table, I have to admit that I was surprised by nearly every bite I put in my mouth. The charred flour quesadilla housed meaty mushrooms, rich melted cheese, and an even richer coconut curry. The combo of the cheese and the curry was tremendously flavorful, but almost too rich for my blood. I moved on and was blasted by roasted garlic as soon as I lifted the yellow vegetable curry to my lips. 'Too much garlic' is not a phrase that you often hear me mutter, but this walked a fine line. The corn cake, or grits cake as we call it down South, was a nice little surprise. I'd have to give it the designation of the most unique vegetarian BBQ I've ever tried. I ate it as instructed: "Pick up the corn cake like a taco." The soft cake contrasted nicely with the crunchy cabbage slaw. Honestly, my brain didn't know where to file this one away. The roller coaster ended with a simple, almost savory dessert of strawberries, vanilla cream, and balsamic vinegar, a smart choice since strawberries are very much in season right now. Overall, I'd say this trio has a lot to offer in the way of culinary creativity and execution. They didn't seem thrown off by the fact that they had to serve an all-vegetarian menu. Maybe I just hit 'em on a good day. At the Hodge Podge truck, I asked Chris, the chef, "What's your specialty?" "We take a Polish sausage and top it with pork and kimchi," he said. "That's how we do it in Cleveland!" I knew that's not what I was getting from them on this day, but my interest was piqued. Sounds like this guy has a 'more is more' type of philosophy that works to much acclaim in a lot of restaurant situations. Turns out this was right. I was not allowed to order, which is a truly a great thing in my eyes. It makes me feel like I'm being treated well. The truth is, I really want to eat the food that a chef is passionate about cooking. Within certain parameters, I'll try anything. I'm very adventurous when it come to food and I'm not super particular. Jaqueline, the nice girl in the cowboy hat taking orders out front, told me in her best put-on Southern accent that I was getting the Hodge Podge Special, which I soon learned meant that they were making me a little of everything on the menu. After about 15 minutes, the longest wait time of any truck, I hear Chris joke as he barrels toward me, "I take full credit for the overweight problem in Cleveland!" He personally delivers my first course, a Fried Avocado Taco covered in jicama and celery root slaw then drizzled with Carolina BBQ sauce. A mustard-based sauce like that could get him run out of Memphis, but I let it slide this time. Each component of the taco was right on, but I'm not sure if it all came together in the end. I also had the grilled cheese, which I think would be more accurately described as an egg sandwich. This is the type of comfort food that once got me in trouble, I thought. Back when I weighed 265 pounds, I'd wake up and make a sandwich very much like this one first thing in the morning! The egg was perfectly drippy, and the cheddar played the important role of holding everything together. Ah, memories...this one really took me back. I only wished that they had opted for a more interesting bread. The white bread they choose was, well, a bit boring. I wanted a hearty, crusty French loaf or even the brioche they used for my next item, the French Toast PB&J. Chis explained that this dish was strongly connected with memories of his own childhood. I appreciate the fact that he took this idea and elevated it, but didn't take it too high. I thought I was through when I found a little treasure hiding under the other half of my egg sandwich: a truffled hush puppy. I believe he used a mixture of fresh corn and cornmeal to produce this moist, craggy, fried treat. The onion almost overpowered the subtlety of the truffles, but I really liked the idea. It's one I may try in my own kitchen one day. So, my experience at the Hodge Podge truck was a good one. They were the friendliest staff in town, which seems to go a long way in the food truck business, and there was plenty of food to go around. There was a lot of fried and lot of butter on my plate. I couldn't eat like that every day, but every once and a while, it might be a nice treat. I arrived at the Roxy's Gourmet Grilled Cheese truck late enough in the day to call it dinner. As I stood in line, I was eyeballing their simple but well-thought-out menu of two grilled cheeses, one sweet and one savory. They had been expecting me all day, so I introduced myself as The Chubby Vegetarian straight away. I was introduced to the other guys and then told that they were just changing up the menu as they had run out of a few things. I hope it's not the sweet candied apple and cheddar grilled cheese, I thought to myself. They were actually out of both sandwiches listed on the menu. They were so low-key about the whole thing that I didn't find myself upset or overly disappointed. After a little back and forth, I decided to turn the reins over to them, and I asked for "something good." I mean how, can you go wrong -- it's a grilled cheese, for crying out loud. Even the worst one is pretty good! I was presented with a Leek and Spinach Grilled Cheese and a Caramelized Onion and Truffle Grilled Cheese along with an order of truffle fries served with spicy ketchup. The fries were good, crispy, and spicy, but I was a little burnt out on fried foods by this point. I was really looking forward to the cheese, though. The combination of leek and spinach still had a great 'green' flavor that was only complemented by the richness of the cheese, but the real winner was the caramelized onion and truffle combination. I'd say it was the best sandwich I had all day. There was something magical happening between those two pieces of bread; the sweetness of the onions and the savory truffle balanced each other nicely. I found it interesting that one of the best dishes of the day was thought up on the fly. My only complaint about that particular sandwich was there there was enough cheese on it for two -- possibly three -- sandwiches. So next time, I may need a few more slices of bread and some more people. Overall, I'd say their laid-back approach to customer service was a plus, and it helped when I couldn't order off the original menu board. These guys have a solid concept, and they add just enough sparkle to take their sandwiches from grilled cheese to gourmet grilled cheese. I have to say that it's not lost on me how much hard work and dedication it takes to run a food truck business. Each team has trained hard for this and is ready to win. I appreciate every ounce of creativity that all of the teams clearly have poured into this challenge and the entire competition. Every component of the experience is important: the concept, the customer service, the value inherent in the meal and in the time spent enjoying it. However, what's paramount is the food. Korilla had fantastic kimchee but a lack of exciting vegetarian options to showcase that product. It wasn't the thrilla' from Korilla that I was hoping for. 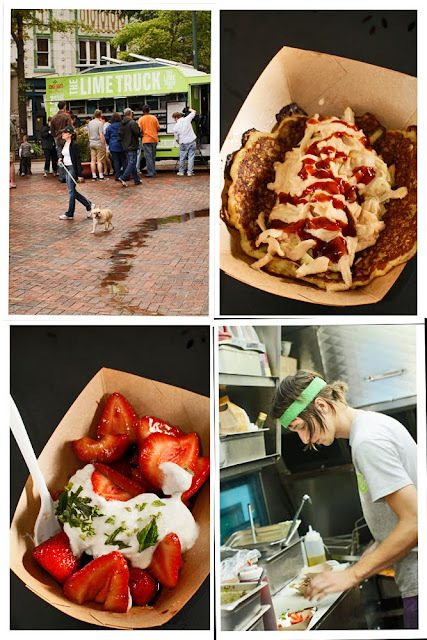 The Lime Truck had creative food that somehow managed to still seem healthy, yet some of their flavors really challenged me. Hodge Podge had personality and passion to spare, but most of what I was served was a little heavy for my taste. Roxy's Gourmet Grilled Cheese, with the best sandwich of the day, didn't have enough ingredients to provide the sweet sandwich that I really wanted to try. In the end, there was one truck run by three folks who hail from the coast miles from Memphis, and they're the ones whose tires I considered slashing just so they'd have to stay in Memphis. Their passion for food, their excitement about what they're serving, and their talent is just that outstanding. Even under the pressures of this challenge, this team cooked not only one of the best meals I've ever had off of a truck, but one of the best meals I've ever had -- period. That team is...The Lime Truck. Congratulations! You've earned immunity for the next challenge. And I also hope you double back and make a point to come through Tennessee again. Thanks for watching us on The Great Food Truck Race on Sunday night. Please have a look around at our 600+ recipes, and join our 1,700+ followers, so that we can start cooking together. When I see morels making their first fall appearance at the grocery store, I get butterflies. Seriously! They're my favorite mushroom. 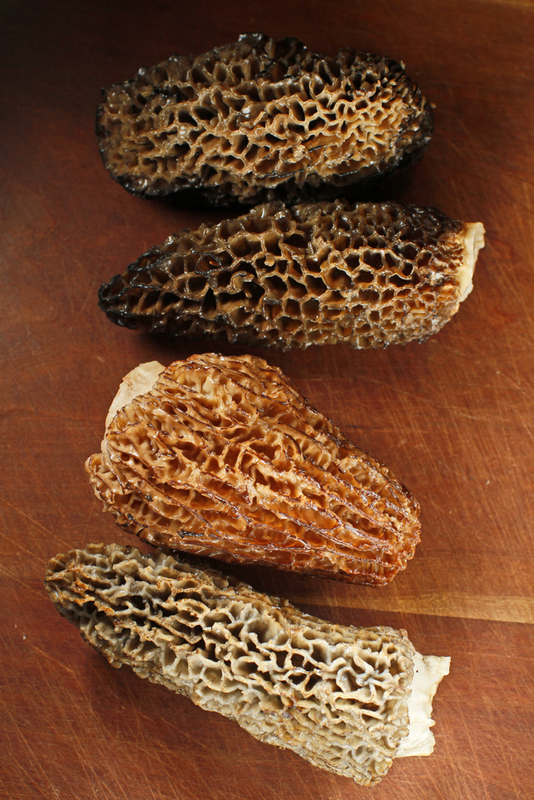 Prized for their mild, earthy flavor and surprisingly meaty texture, morels also look ridiculously cool on the plate. Just a few of these stuffed mushrooms make a huge impact here -- this is a good thing since they tend to go for about $30 a pound -- and transform a regular old pasta dish into something pretty special. For the stuffing, put first six ingredients go into a food processor; pulse until finely chopped. Stir in the bread crumbs. Set stuffing mixture aside for ten minutes. Clean morels using the hand sprayer on your kitchen sink; the spray will dislodge any dirt stuck in the mushrooms' crevices. Dry morels using a clean kitchen towel. Next, preheat your oven to 375 degrees. Stuff the morels using a pastry bag or by slicing them down one side with a paring knife and spooning filling into the cavity. Place stuffed morels in an oven-proof dish and drizzle each with a teaspoon of olive oil. Roast morels uncovered for 15-20 minutes. 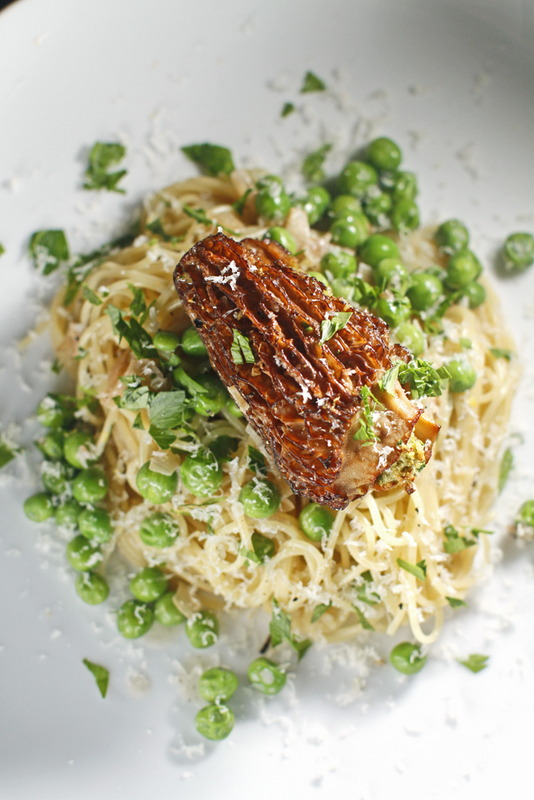 Sprinkle each with salt and pepper and serve over Angel Hair Pasta + Cream & Peas. Place a large pot of salted water on to boil. In a large pan over medium heat, melt butter and sauté shallots until they turn translucent and begin to brown. Add the wine, vinegar, sugar, salt, and pepper to the pan; reduce by half. Add the cream and turn off the heat. Place unrinsed, cooked pasta directly into the pan with the sauce and add the peas. Toss together to incorporate all the ingredients. Add a bit of pasta water to thin the sauce. Top with stuffed morels and garnish with parmesan cheese and chopped parsley. Serve immediately. In order to keep the French food theme going, here is another one of my go-to French dishes. One of my favorite chefs, Charlie Trotter, came up with the concept of "faux gras" using ripe pears in place of goose liver for the desired effect. 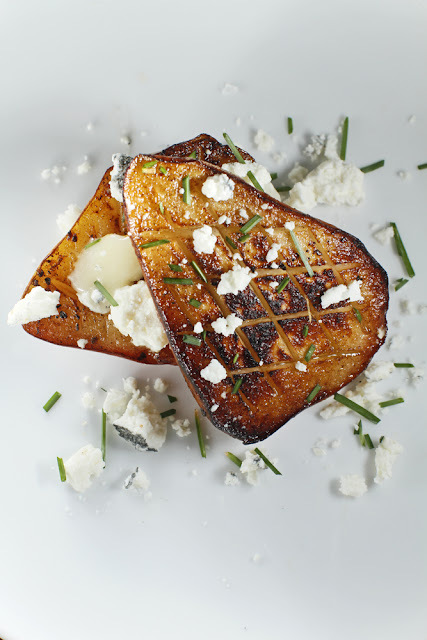 He uses seared pears in a dish along with corn cakes and a tropical fruit reduction in his book Vegetables. It's so smart. And okay, I admit it -- I've actually never tasted foie gras, so I'm not sure how close this is to the taste and texture of the real thing, but I will tell you that it really is delicious. It's a perfect appetizer served with crostini; it's also great on top of some lightly dressed arugula. Lightly sprinkle each scored pear half with champagne vinegar -- just a few drops will do. Next, add a pinch of smoked salt and a turn of black pepper to the cut-side of each pear. Heat a medium-sized pan over medium-high heat. Once the pan is heated through, add the butter. Once the butter has melted, place pears in the pan cut-side-down, and allow them to cook for three to four minutes. (You want the pears to caramelize nicely.) Once you have achieved some good color on the cut-side, flip pears over and heat them through on the other side. Remove pears from pan. To serve, place pears on a plate and garnish each pear half with about 1/4 ounce of crumbled bleu cheese and chopped chives. Serve with crostini or soft french bread. UPDATE: Winner of this contest (chosen by a random number generator) is...KiaraLin. Congratulations -- and please contact us via the email info. on our Blogger profile within the next 3 days in order to send your address and claim your prize. Thanks to all who participated! In honor of the two exhibits making up A Very Impressionistic Summer at the Memphis Brooks Museum of Art and the Dixon Gallery & Gardens here in Memphis, we attempted the impossible: macarons. It is clear why well-made ones are so prized because this was not a simple task, and next time, our macarons will just have to (magically?) rise higher. Not bad for our first try, I suppose. 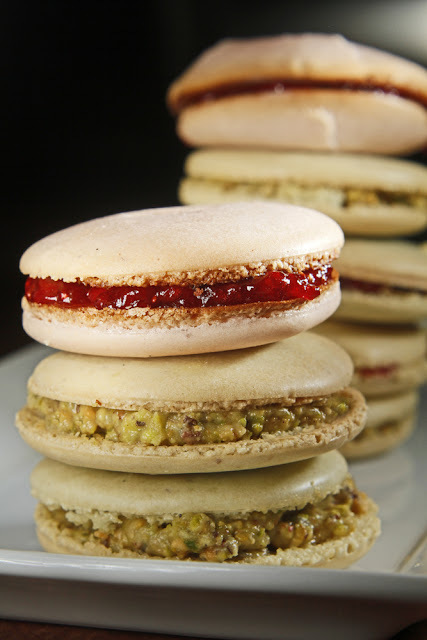 However, this recipe gave us a good start, and we kept the macarons simply flavored with vanilla and filled with strawberries or pistachios. What's your favorite meat-free French dish or recipe? There are prizes for one commenter: a pair of tickets to each exhibition and now also a $50 gift certificate to The Brushmark Restaurant, located inside the Brooks Museum. The winner's name will be drawn randomly by Thursday night, and at that point, we will announce the winner and arrange to mail the prizes. Both shows run through October 9, and if you haven't stopped by to see them, they are absolutely stunning. Go! Combine all ingredients in a saucepan and heat stovetop to medium. Stir often and cook for 20-30 minutes until cooked down to the consistently of jam. Set aside to cool. Add vinegar and stir. Combine all ingredients in the food processor and chill for at least an hour before using. So, tomorrow is Labor Day, and most everyone you know will be eating BBQ in the form of pork, beef, or chicken. It's time for you to plan ahead. Make a few of these classic vegetarian sandwiches to take along with you to whatever cookout you make be attending -- unless, of course, you thoroughly enjoy eating a plain coleslaw sandwich. If your family is anything like mine, even the avowed meat-eaters are going to be curious to try what you're eating! 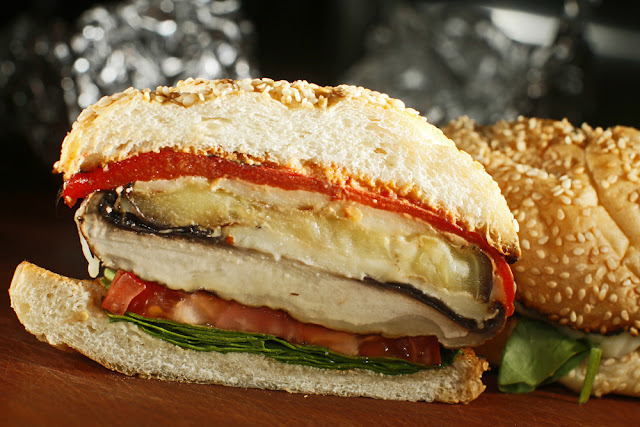 Besides the grilled veg sandwich recipe below, I have a few other ideas for the vegetarian grill if you'd like to check them out as well. Simply drizzle the vegetables with the balsamic vinegar and plenty of olive oil. Season each side with salt and pepper. Preheat your grill to high. Grill vegetables for about 4 minutes per side or until they are nicely marked by the grill grates. The mushrooms may take a little longer. Once you have cooked the underside of the mushroom flip it over and sprinkle the cheese on the gill side of the mushroom caps as they continue to grill in order to melt the cheese. Stack the vegetables: mushroom with the cheese, slice of eggplant (or two), one quarter of the roasted red pepper. Serve on a toasted bun with spinach, tomato, and Sun-Dried Tomato Aioli (recipe follows). 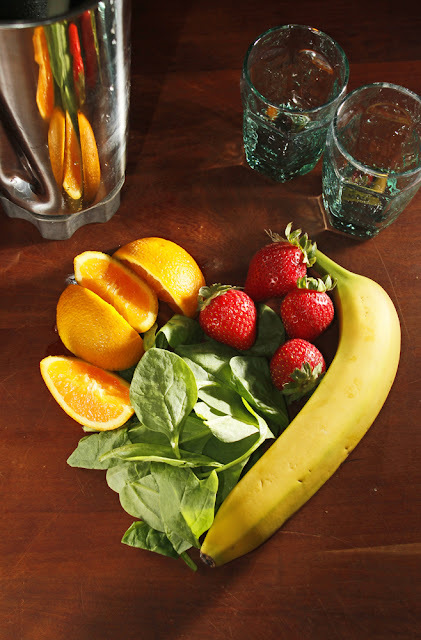 It's simple -- just blend all ingredients until smooth. This is also great on so many other things such as wraps, eggs sandwiches, and tortilla de papas.